It’s always cool to be able to do things quick and easy, especially when others are yet to know about it. Ever been to the bank to carry out some transaction just to end up being on a queue for at least an hour before being able to get things done? GOtv payment has been around for some time now but most times subscribers prefer to make payments or recharge at shops which could need extra time and transportation some changes in schedule. Today you will see how to do your GoTV recharge especially if you in Nigeria. A lot of things happen: you would like to make gotv payment or subscribe before passing the shop but you just do not have the cash at hand. Sometimes you forget to make payment and can’t go back out to the shop. You don’t have to worry. Today, you will learn how to renew your bouquet or make your Gotv subscription online from the comfort of your home or office quick and easy. Though the internet has been around for a very long time, some people are still not comfortable with online transactions like recharge and bills payment. You don’t have to worry about that; your bank has put everything in place to make sure have enough protection when you go online as long as it is an official transaction made from a trusted gateway. For this transaction, you will be using quickteller which is well known and trusted by everyone including institutions like universities and banks. Some have the issue of late activation after making payment online. From this article, your will be shown how to make gotv payment online, and get your decoder activated in as quickly as five minutes. Nonetheless, this depends on how good you are with your device. But don’t worry; the steps presented will help you make gotv payment online even if you know nothing about online payments. All you need is a device that can connect to the internet and your ATM Card. But the ATM Card won’t be necessary if you have your card number and CVV off hand. For this method I recommend using a desktop or laptop computer. You can still do it with your smartphone anywhere in Africa. On the next page, confirm your details and select pay (Don’t be confused; the account number is different from IUC Number). You will be sent to the interswitch payment portal. 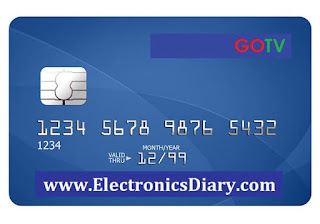 Select the type of card you have, enter card details and click on pay. You will find your CVV at the back your debit card. An extra 100 will be charged by quickteller so you will be paying a total of 1900 instead of 1800 if you are paying for Gotv plus. The same amount (100) applies for all other gotv packages. Well, the extra 100 should be like your transport to the multichoice centre so it is still the same thing. The next page will ask for a safe token which will be sent to your phone and e-mail if you have registered for safe token. If you have not, visit this page. No. 8 tells you how to register for safetoken at the ATM. There are three other ways of getting an OTP but I would recommend visiting the ATM. You will be charged 100 naira when getting an OTP for the first time. The subsequent operations that require OTP will be free of charge. Once you are done with that, you can go on and complete your gotv payment or recharge online for any plan or package of your choice. This time you won’t need to activate safetoken or OTP. Once you enter you card details at quick teller, a unique token will be sent to your phone for use only for that transaction. After ten minutes the OTP will expire and you would have to request a new one. Once you enter the OTP, proceed to make payment. The next page will notify you of successful payment if you entered the details correctly. You will receive a notification from Gotv Multichoice of successfull payment and your decoder should be upgraded after this. To upgrade your decoder (that is, activate your decoder after payment quick and easy), visit this page. There you will learn the fastest way to get activated after making payment online quick and easy in as quickly as five minutes. 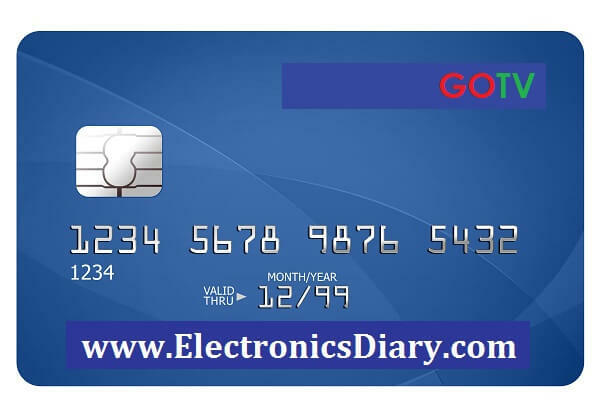 A popup will appear asking for your card number, expiry date and CVV. Enter and click on pay. Enter the safe token and proceed. If you have questions about safetoken, scroll up to read about it or use the comment session below and you will get a response. The next page will notify you of successful payment if you entered the details correctly. You will also receive a notification from Gotv Multichoice of successfull payment. Your decoder should be upgraded after the gotv recharge. To upgrade your decoder (that is, activate your decoder after payment quick and easy), visit this page. There you will learn the fastest way to get activated after making payment online quick and easy in as quickly as five minutes. Once your transaction is completed and you have received confirmation, then you can move on to enjoy your favourite gotv TV programmes. If you don’t have the application, you can follow this link with your smartphone to download. If you are asked to enter referral code, enter EKEMIR2. You can also buy airtime with zoto app and get double the value of you recharge amount. is it compulsory that the decoder be switched on while making payment? That is not necessary but I recommend that you make sure your decoder is switched on when requesting activation.